One of the most recognizable structures in the world. 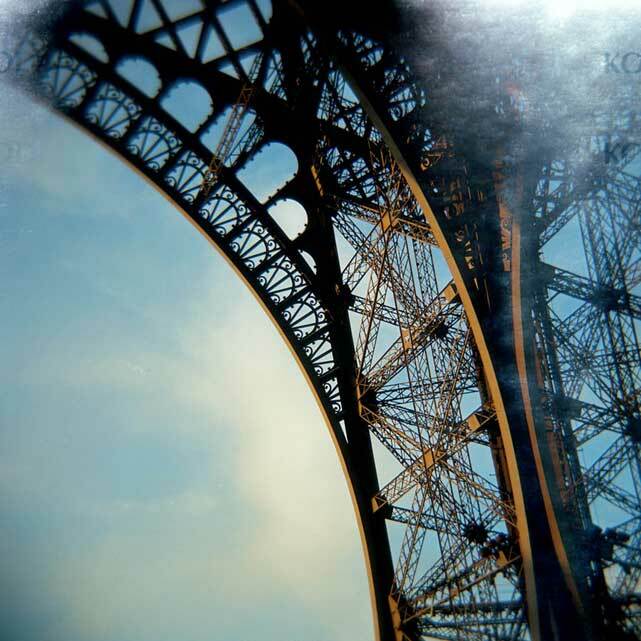 This shot of the Eiffel Tower was taken on my Lomo Holga camera which is prone to the odd light leak as you can see the backing paper through this negative. Edition of 50 prints. Numbered and signed by the artist.